Office 365 offers superior e-mail service, shared calendars, constantly messaging, web conferencing, and access to updated documents. 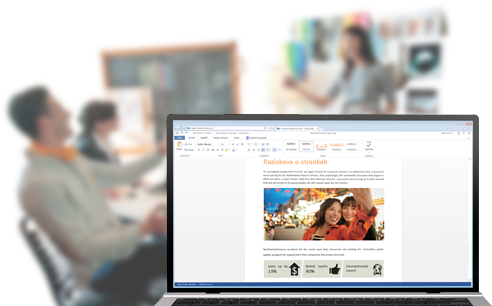 Office 365 updates automatically and constantly add new features. The paid service SLA get a 99.9 % service availability. Office 365 uses the latest security mechanisms. Manage users and service is performed from a central administrator portal. Use Office whenever and wherever you need. Office can be installed on the computer with Windows or Mac OS, tablets and smartphones. You can use it on the go or online. 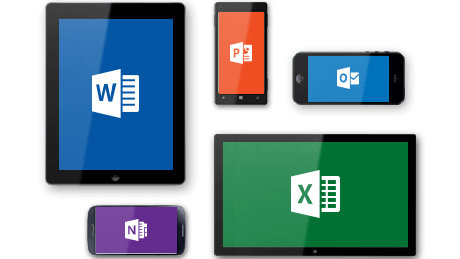 When you sign in to Office, your documents and settings follow other devices: from the PC to the phone or tablet to the Internet, so you can continue working on any device from where you last left off. At the Association of Sports for the disabled Slovenia – Paralympic Committee, we had some problems due to server maintenance costly and complex environment, which is reflected also in the unnecessary loss of time in the work process. With the help of the company Unistar LC d.o.o. we have moved our operations to the Microsoft Office 365 and get access to e-mail and our data from anywhere and from any device. They had also arranged our website for effective project management. This is time-efficient especially in co-working in a team and now is clear in which stage of the specific project we are and who is the leader of this project.